Create a unique home for your special bird pals. 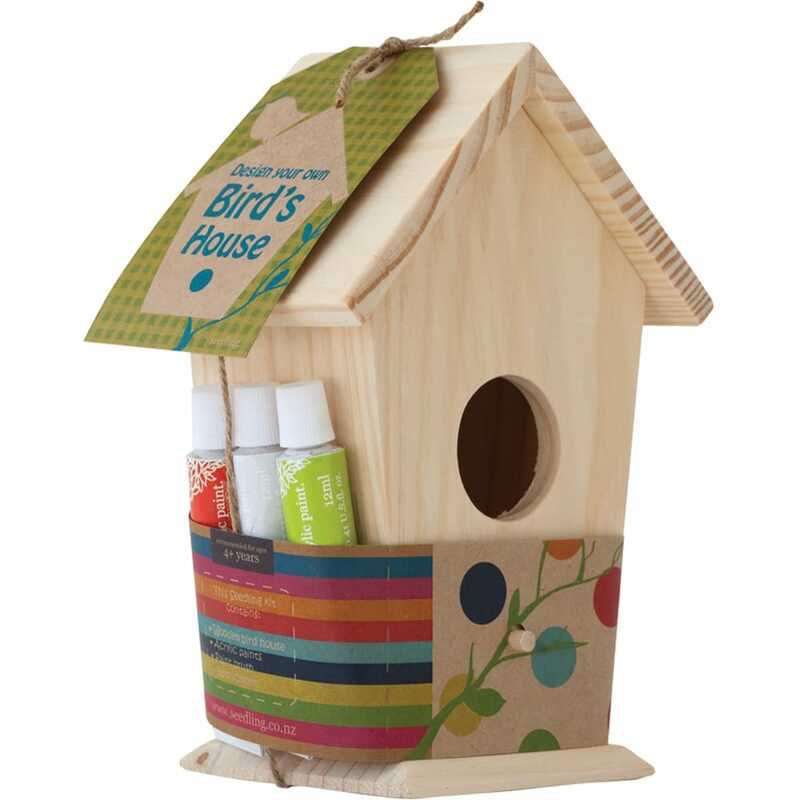 The easy DIY kit comes with acrylic paints to create an adorable wooden bird house that is as cosy as it is cute. Mix the paints to come up with original combinations of colours. Your feathered friends will chirp with joy when they discover this one-of-a-kind haven. Contents: 1 wooden bird house, acrylic paints, paint brush and instructions.